Why Should I Send My Kid to a Christian School? Education is a hot topic for Christians and non-Christians alike—but adding concern over the spiritual development of their children within the education system has made Christian parents more worried than ever in today’s climate. Parents deliberate and debate education options for their children—will public schools turn their children away from developing a deeper faith and teach a curriculum that they potentially disagree with? Will expensive, private Christian schools create a “bubble” environment for their children, potentially removing the space children need to make their faith personal? In January, LAUSD teachers went on strike to demand smaller class sizes, reductions in standardized testing, a 6.5 percent salary increase for teachers, retroactive for the last school year, to keep up with California’s rising cost of living and increased support staff. Placing your child in a Christian school is not a substitute for a rich, nurturing, faith-based home life. The idea of elementary school children getting lost in class sizes of 40 children in an underfunded school where teachers are unhappy is a fear amongst educators and parents alike. And for Christian parents, the lack of support for their child’s spiritual growth—or even acceptance—within a system that seems to be increasingly separating itself from religion is concerning. Private Christian schools seem the ideal alternative—small class sizes and staff who nurture spiritual development as well as academic success. 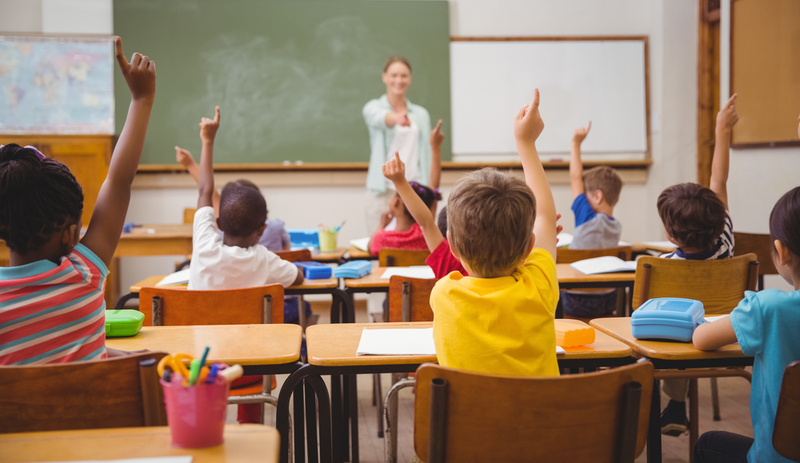 However, according to data from the Nation Center for Education Statistics, the average price of a year of private elementary school is $7,770, and the average annual cost of private high school is $13,030. Along with high costs, some argue that an academic approach to faith can be off-putting to young children who have yet to make faith their own. And how are children expected to create a faith that can withstand adversity, questioning, temptation and diversity if they are only in an environment that affirms them? The debate over the Christian private school vs. public school is not one that yields a black and white answer—or a guarantee of success for your child by choosing one school over the other. A study performed by CARDUS explored the difference in faith development between children who attended public schools to private, Christian schools. All private school graduates reported feeling much more prepared than public school graduates did for a “vibrant religious and spiritual life.” However, even non-religious private school graduates felt more prepared than those in public school. On the other hand, the same study showed that Catholic school actually had a negative effect on eventual church attendance versus public school—and the impact of the school effect alone from Protestant schools is positive but somewhat minimal. However, the total impact of all family factors is very significant. Placing your child in a Christian school is not a substitute for a rich, nurturing, faith-based home life. There is a case for private Christian schools, and it is strong. But interestingly enough, even non-religious private school attendees reported feeling much more prepared than public school graduates did for a “vibrant religious and spiritual life.” Is it the spiritual nurturing of the private Christian school atmosphere that increases a child’s faith? Or by attending a private school, are children simply responding to the benefits of an environment where students are set up to thrive academically and socially, while also receiving the benefits of a faith-based home life? If the faith aspect of the private school is removed and children are still reporting being more prepared for a “vibrant religious and spiritual life,” is a Christian school environment really more valuable? Without a doubt, an environment when faith is nurtured and affirmed has the potential to increase your child’s personal faith journey. But with limited exposure to other points of view, there is a question to what that faith will look like outside the walls of a school, after graduation. One might argue that a child with strong personal faith will not be swayed by other opinions, teachings or views from a secular institution like a public school. But one might also argue that faith deserves to be nurtured and supported at the same level as academic growth throughout childhood. When it comes down to it, attending a Christian school will not shelter your child from sin. Whatever you chose, whether or not your children attend an expensive, private Christian school or the local public school in your neighborhood, you are responsible for preparing them for a “vibrant religious and spiritual life. You are the most important educator in their life.